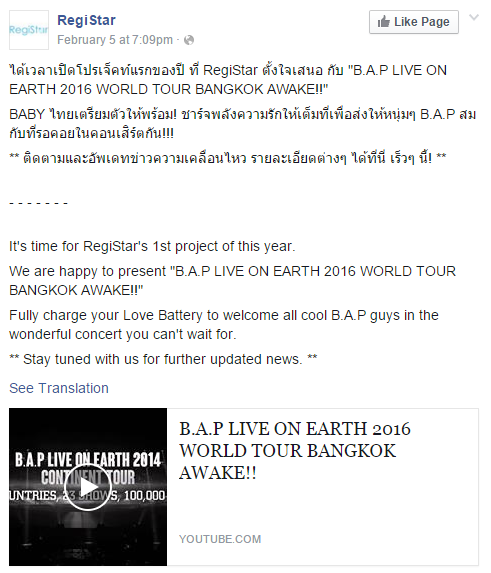 BYS: B.A.P Live On Earth 2016 World Tour Bangkok Awake! B.A.P Live On Earth 2016 World Tour Bangkok Awake! B.A.P LIVE ON EARTH 2016 WORLD TOUR BANGKOK AWAKE!! Thunder Dome Muang Thong Thani on 25th June 2016. It's time for RegiStar's 1st project of this year. We are happy to present "B.A.P LIVE ON EARTH 2016 WORLD TOUR BANGKOK AWAKE!!" 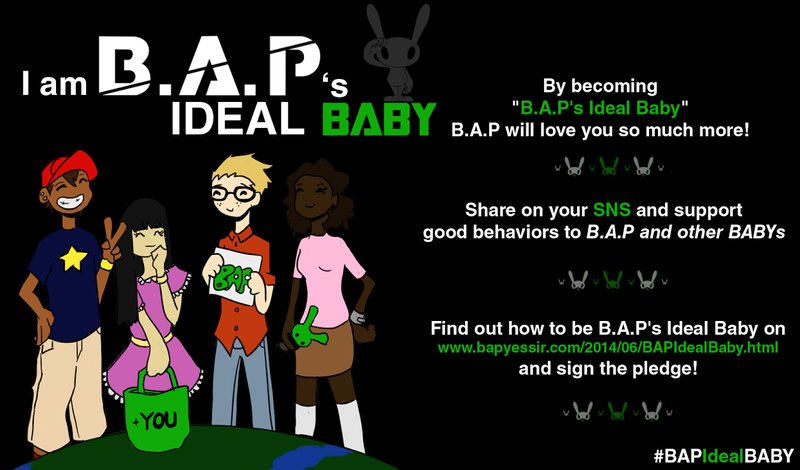 Fully charge your Love Battery to welcome all cool B.A.P guys in the wonderful concert you can't wait for.